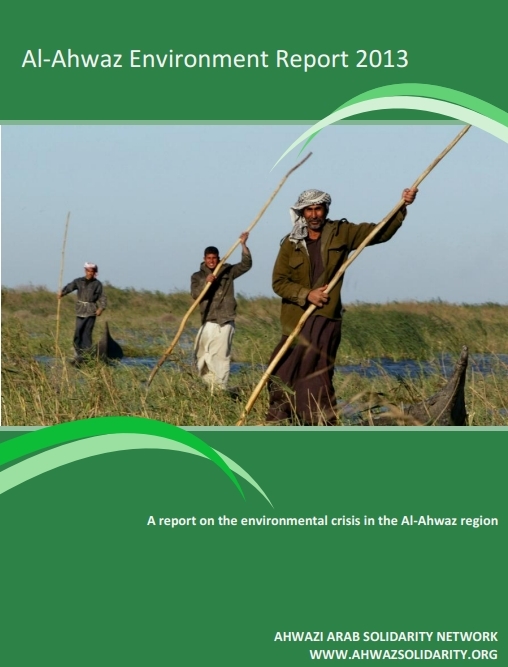 The latest Al-Ahwaz Environment Report, published by the Ahwazi Arab Solidarity Network (AASN), reveals the scale of the ecological disaster in the Arab-majority Al-Ahwaz region. 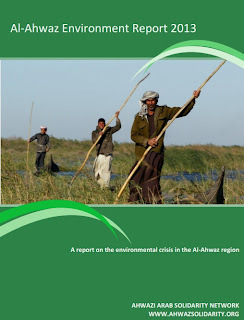 Indigenous Ahwazi Arabs are being adversely affected by the environmental consequences of the Iranian government’s controversial river diversion programme, intensive sugar cane farming and industrial pollution, which are all the products of the government’s misguided economic development policies. Droughts that were once easily overcome are now exacerbated by man-made water shortages. The report accuses Iranian industry of persisting in its reckless pursuit of growth, regardless of the human effects. Asthma rates have soared by in the region over the past decade and Ahwaz City is recognised by the World Health Organisation (WHO) as having the world’s worst air pollution. The United Nations Environment Programme (UNEP) has officially warned the Iranian Environment Association that the southwest of Iran is facing a situation similar to the environmental catastrophes that have affected the Aral Sea in Central Asia and the Amazon jungle. The region contains extensive marshes and rivers that support endangered species of fish as well as migratory birds. Ahwazi farmers and fishermen also depend on the waters for their livelihoods. Great controversy surrounds the river diversion programme. The government's plans, already under development, seek to siphon off 1.1bn cubic metres of water from the province's main rivers to central Iran. This is destroying the marshlands which serve as an important habitat for wildlife as well as helping to regulate humidity and rainfall further inland. Agriculture felt the worst of the effects of river diversion in 2012, which worsened the effects of drought. But wildlife and human health are being punished the most, with some species of birds and mammals facing extinction in the region and Ahwazi Arabs suffering neurological, respiratory and birth disorders as well as high levels of cancer.